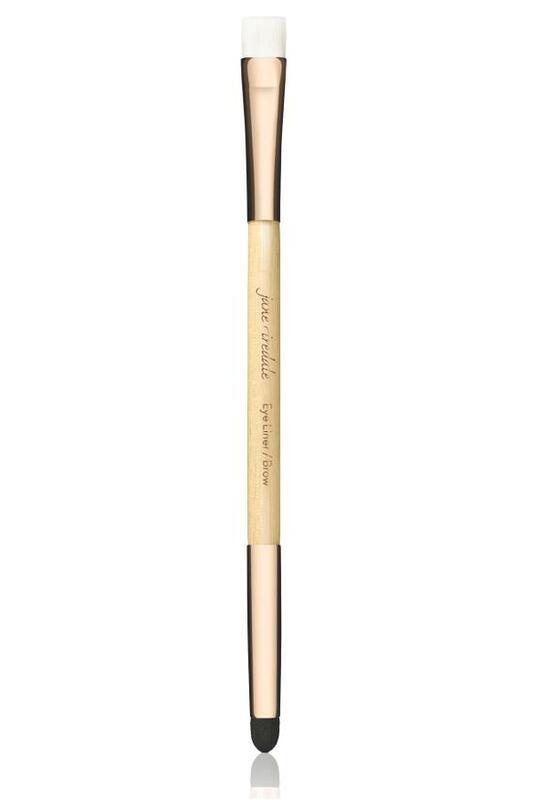 Jane Iredale introduces a double-ended brush that makes lining and smudging so easy. Made from Taklon Nylon on one end and a sponge tip on the other. Flip over and use the sponge tip to smudge the eye line. Hold a pencil and use the brush to take pigment off the core. Then line eyes. Much easier to work with a brush than a pencil.